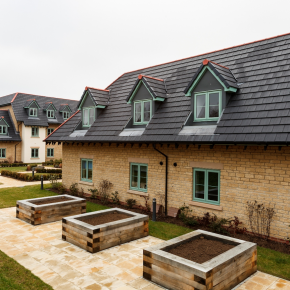 Timesaving proprietary products from Redland – the UK’s leading manufacturer and supplier of pitched roof systems – have contributed towards a complex roof being installed for an Oxfordshire care home. Fosse Specialist Roofing of Stroud was able to install a complex roof in Saxon 10 Slate in Black, ahead of schedule and in spite of delays. 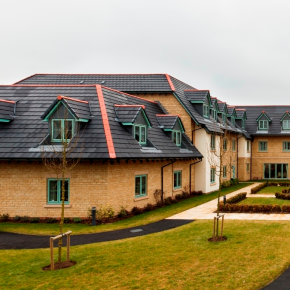 Petypher House is a 45-bed care home run by the South Oxfordshire Housing Association and forms part of a 63-house housing scheme built by David Wilson Homes, Southern Region and is roofed in matching tiles. Complex from the very start, the roof incorporated both skylights and over 40 dormers, so many tiles had to be cut to a high level of accuracy, while lead flashings to the large amount of side abutments, the many vents and the large flat roof in middle of the site all contributed to the difficulty of the work. To produce a neat finish, Fosse installed Redland dry fix ridge and hip complete with block ends, as well as Dry Verge and GRP Valleys. 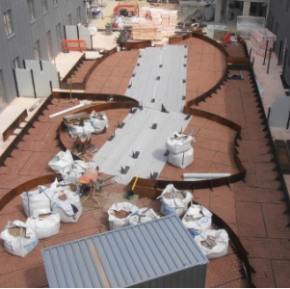 By the time the site was ready for roofing works, the project was roughly four to six weeks behind the building schedule but, despite this pressure, the roofing company delivered this example of top quality roofing slightly ahead of schedule. 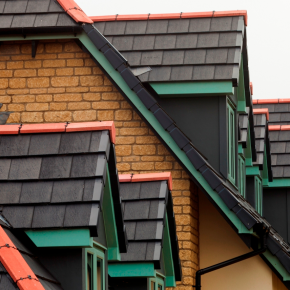 The second iteration of a classic concrete slate first produced 30 years ago, the Saxon 10 Slate provides best-in-class performance with a minimum pitch of just 17.5º, single nail fixing and no need for either special eaves or top slates. 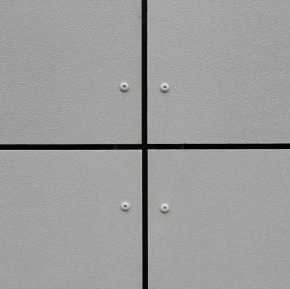 Designed with a riven surface and chamfered edge, the Saxon 10 Slate looks like quarried slate but has all the convenience and performance of a machine-made concrete slate to produce roofscapes of quality and distinction. 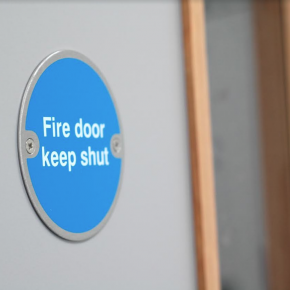 Black and blue are colour options available, with the black matching the black-grey slate of Scotland and blue reproducing the traditional blue-grey slate of Snowdonia. These colours have a high-quality paint finish, creating a strong and consistent roofscape.